Founded in 2005, the Pennridge ATV Club was originally formed to connect local riders in Southeastern Pennsylvania’s Bucks and Montgomery Counties. Rick Henofer, who owns a local contracting and remodeling business, started the club because there were no local ATV clubs in the Pennridge area. Today, the club has close to 60 members who want to get out and enjoy the woods either hunting, fishing, camping or ATV riding. Each year, the Pennridge ATV club organizes several rides for its members. The riding season usually kicks off with a Memorial Day weekend ride in the Susquehanna State Forest in Potter County and the Snow shoe rails to trails. Additional rides are planned throughout the year and typically include rides to SSRTA, Whiskey Springs and Bloody Skillet. In the past, according to the club founder Rick Henofer, “the club has gone to the Hatfield McCoy trail system 4 times, Kentucky, and done rides in New York and as far away as Maine”. 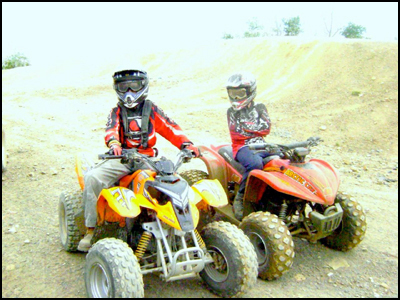 Additionally, the club promotes safe riding and conducts an annual ATV Safe Rider course to certify kids. The Pennridge ATV Club has been a proud supporter of the work done by the SSRTA and its members, and we cannot thank the SSRTA enough for maintaining first class trails that can be enjoyed by all members. We are proud to say that members of the Pennridge ATV Club have individually supported the work done by SSRTA and enjoyed the many events sponsored by the SSRTA. As a club and individually, we look forward to continuing our support.